Bridging the gap between sports science and athletic performance to optimize body and mind, our mission is to empower your athletic journey to pursue Excellence and Greatness in your life. How do we best improve as an athlete? What is the drive behind our athletic desires? What factors play key roles in our performance and how can we influence them? Why is coaches education so important? When does one qualify for being a world-class coach? Discover the most recent findings of sports scientific research and get informed about the science of performance, education, and motivation in our latest articles. 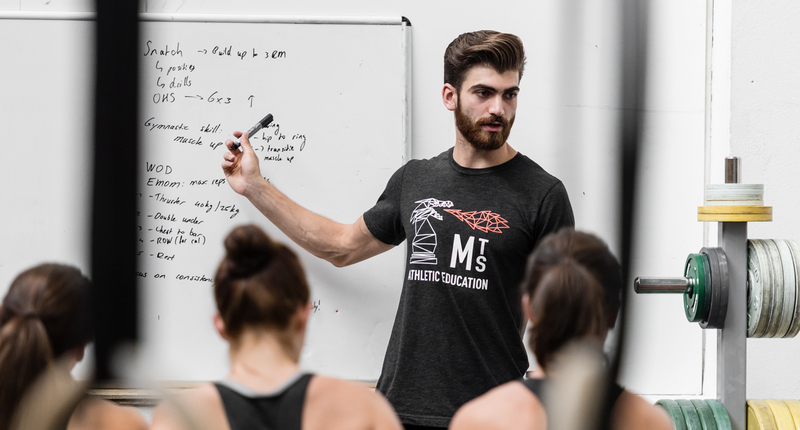 Attend and learn about the fundamental principles of strength and conditioning sports and how to implement them in your training. Assess your strength and weaknesses to realize what’s necessary to adjust in order to optimise your performance. Start training with an unstoppable and dedicated team to excel in training, conquer your fitness goals, and achieve greatness in life. All the science, methods, and principles are combined in our programs to increase athletic performance and develop well rounded athletes. Mirwais Mehrab is a medical doctor in training and sports science researcher at Erasmus University Medical Centre. As a strength and conditioning specialist, he runs ‘Mirwais Training System’ and aims to continuously optimize athletic education and performance through publishing extensive sports scientific research. By doing so, his mission is to create new insights and to serve as a guide to deeper understanding of crucial subjects in the world of sports and athleticism. He also represents ‘Team We Lift’ as a three time National Olympic Weightlifting Champion and has trained athletes and coaches all over the world since 2013.